Two years ago I was asked to make reproductions of several pieces from the Royal Armouries. I had full access to the pieces and the masters were approved by the Armouries. 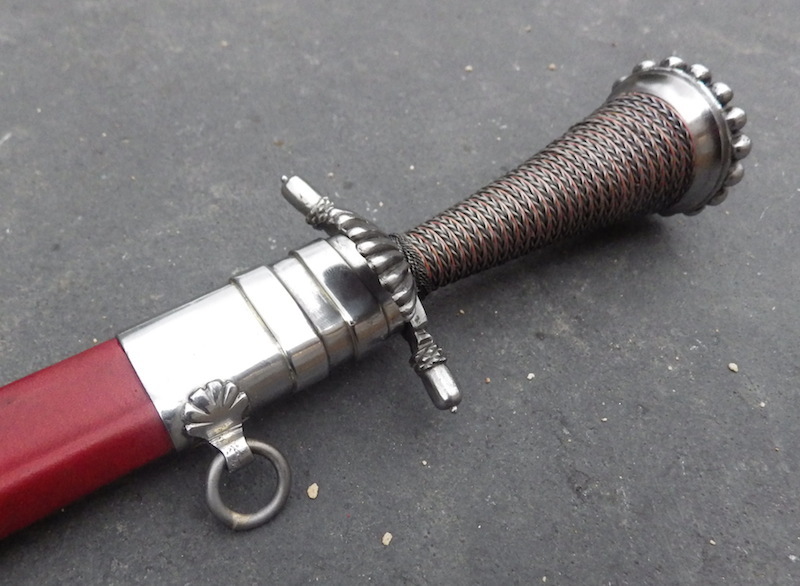 This piece is a copy of a dagger that belonged to Henry VIII except that the original had etchings on the blade. 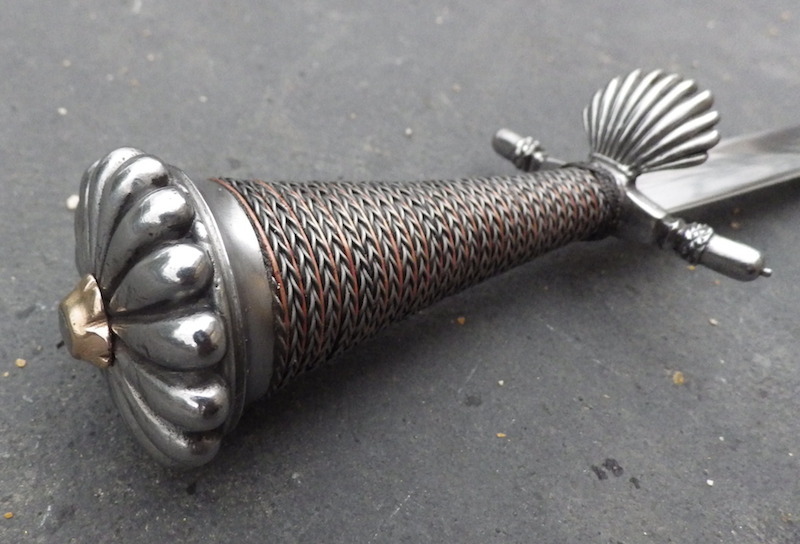 The original piece has also lost its pommel and so I made one that may have been.... 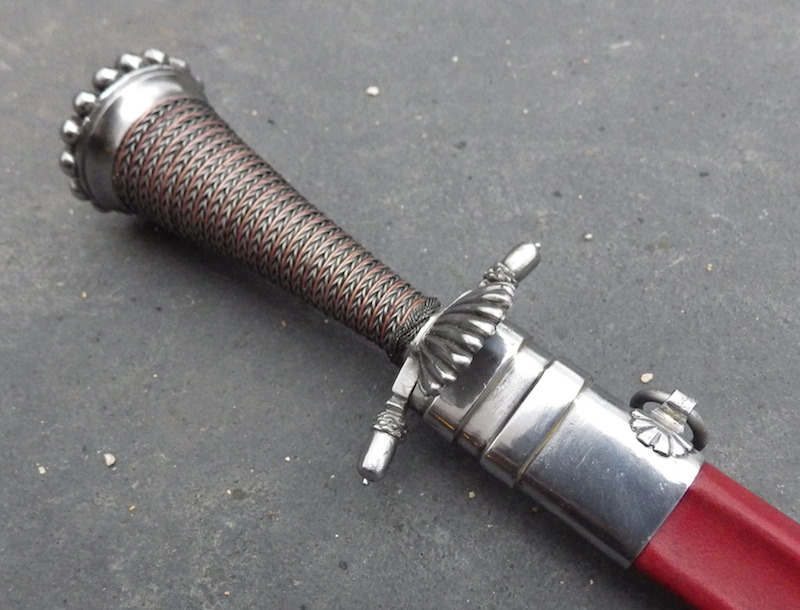 The scabbard is also lost and so I have made one to suit and it is rigged to hang at an angle rather than vertical. 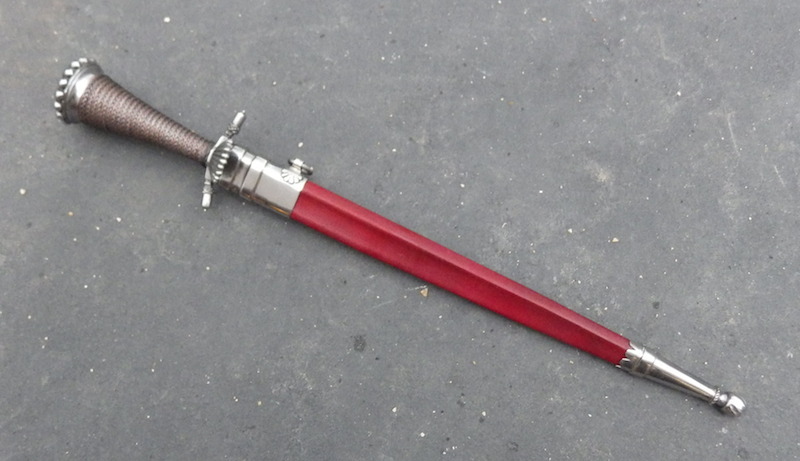 The blade is 34cm/13.5" and 8mm thick at the spine and slowly tapers toward the tip and dives down over the last 2". It is hollow ground along its length and the spine has an angle running down it rather than flat as is usually the case. 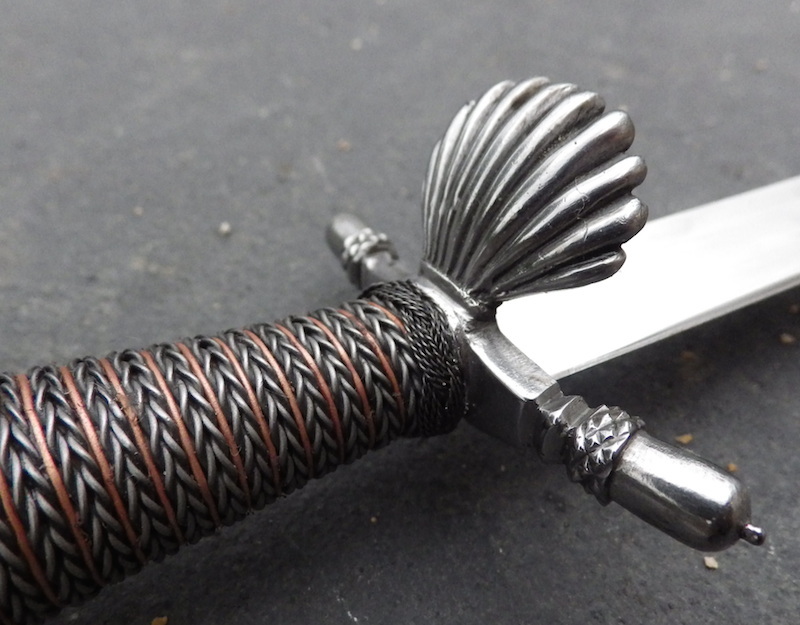 The guard and pommel are steel and the grip is wire bound in bronze and iron and terminated in an iron turks head. 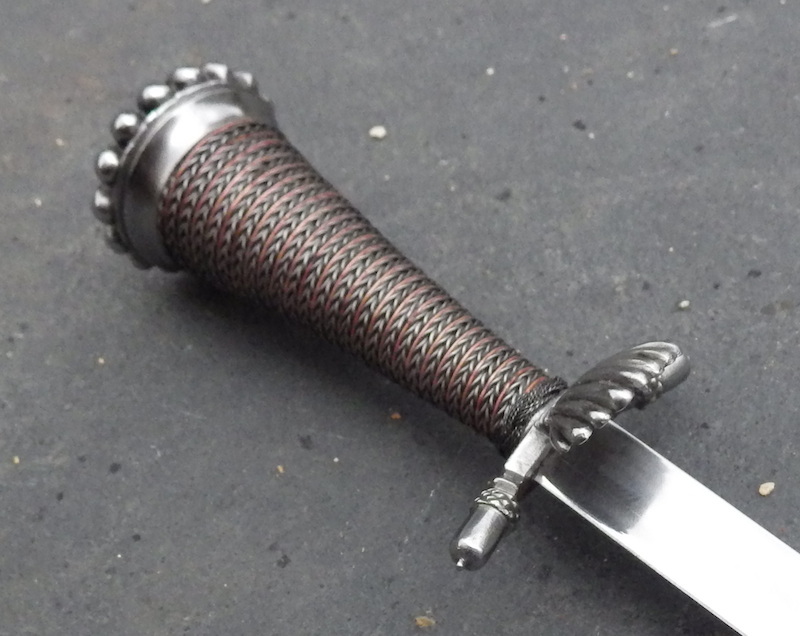 The pommel has a bronze tang button and the blade is bonded and peened. 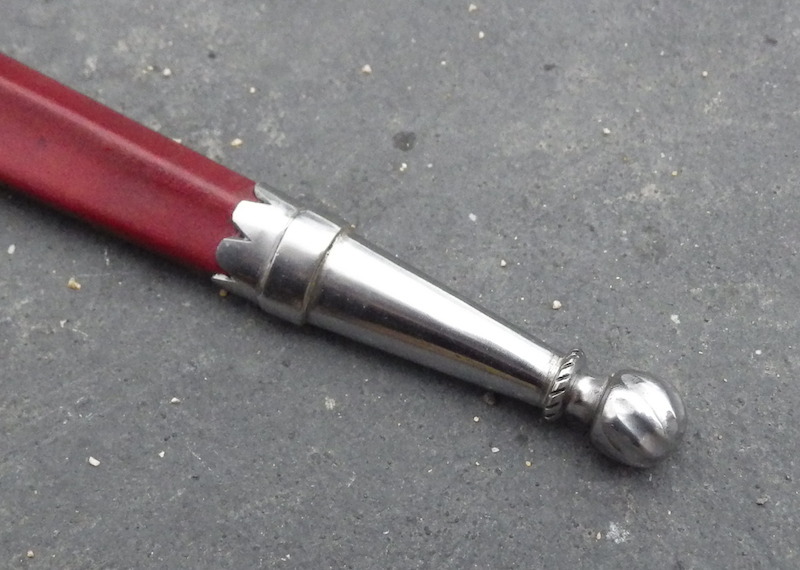 The scabbard is two layer leather with steel fittings and the hanging ring is mounted from a shell shaped bracket. I like it quite a lot! I absolutely love this dagger. It's fantastic. That is outstanding! Do you have a picture of it next to the original, or will that have to wait until it goes to the museum...? 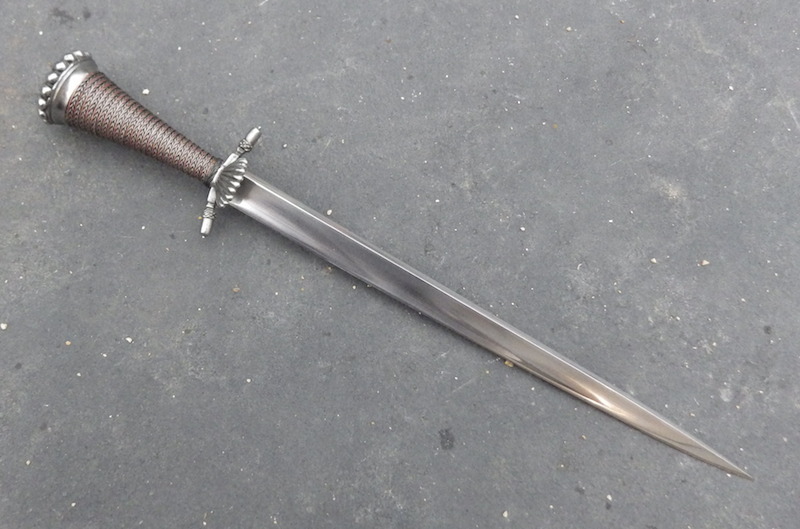 Well, that is a really beautiful dagger and congratulations to Tod on his skills and artistry and to the happy buyer. That's a really beautiful knife. Even though it is well later than my period of interest I really like it. I love those acorn quillons! Thank you all for your kind words and sorry for any confusion. I originally made a repro as a joint project with the Armouries and another re-selling outfit, but this one was made for Lloyd and so unless Lloyd opens up his own museum, it is for a private collection. However, I do like museums where they display the original next to a reproduction, but in the case of this dagger the original is near perfectly preserved any way, so not a lot of point. Harry would have been very happy! Excellent work as always Tod. Really fine work! I'm especially impressed by the wire wrapping on the grip. I keep coming back to the close-up image to admire it! wow!!!!!!!!!!!! . I think about it.... how did you do the wrap wire?? So clean! Love the work on the wire grip.